Daniel S. Kirschner, a partner at Corboy & Demetrio, has been newly designated an Illinois Super Lawyer for 2012. Mr. Kirschner became a partner at the Illinois personal injury law firm in 2011, and for the past four years he was honored as an Illinois Rising Star by Super Lawyers. Dan Kirschner joins 11 other lawyers at the Chicago personal injury law firm who have been designated Illinois Super Lawyers for 2012. Limited to the top 5% of all Illinois attorneys, Super Lawyers are selected by their peers and through the independent research of Law & Politics magazine. 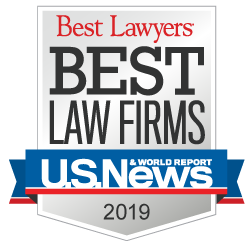 Partners David R. Barry, Jr., Robert J. Bingle, Philip H. Corboy, Jr., Michael K. Demetrio, Thomas A. Demetrio, Shawn S. Kasserman, Daniel S. Kirschner, Daniel M. Kotin, Francis Patrick Murphy, Susan J. Schwartz and Rene A. Torrado, Jr. were named to the annual list. Since joining the firm in 1998, Mr. Kirschner has obtained more than $65 million in verdicts and settlements for his clients. Corboy & Demetrio founding partner Thomas Demetrio, once again, was named in the Top Ten of all the 80,000 plus Illinois Lawyers by Illinois Super Lawyers. Mr. Demetrio has been named a Super Lawyer for eight consecutive years. In addition, attorneys Philip Harnett Corboy, Jr., Michael K. Demetrio and Thomas Demetrio were recognized as three of the top 100 attorneys in Illinois. Corboy & Demetrio has the distinction of having the highest number of attorneys of any law firm in the top 100 category. Associates William T. Gibbs and Michelle M. Kohut were named to the Illinois Rising Stars Super Lawyers list. Super Lawyers selects attorneys using a rigorous, multiphase rating process based on peer recognition and professional achievement. A law firm cannot buy its way onto a Super Lawyers list. Peer nominations and evaluations are combined with third party research in the process.